It might not feel like spring just yet, but the Easter bunny comes to town next Sunday! Finding the perfect Easter treat is always difficult. Whether it's a giant chocolate bunny, a marshmallow peep or even jelly beans, most Easter candies leave-even me-with a tooth ache. I must admit, I actually love the first bite of a sugar filled Cadbury Creme Egg on Easter morning. And it is my family tradition to make a bunny cake with two 9-inch cake rounds. 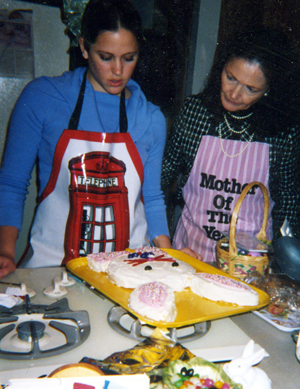 <<<< Here's a throwback photo of me and my mom giving an unsatisfactory glare to a bunny cake. "It's ok, the cake will still taste great, right?" This year, however, I wanted to create an Easter treat that was festive, yet slightly more refined than chomping off a chocolate bunny ear. 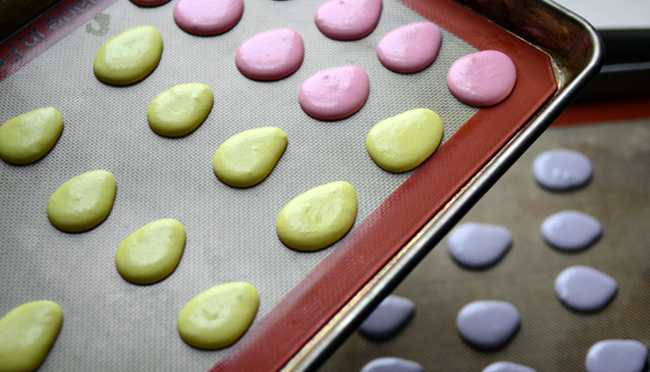 Enter the french macaron. Yes, they are tricky and test even seasoned pastry buffs. 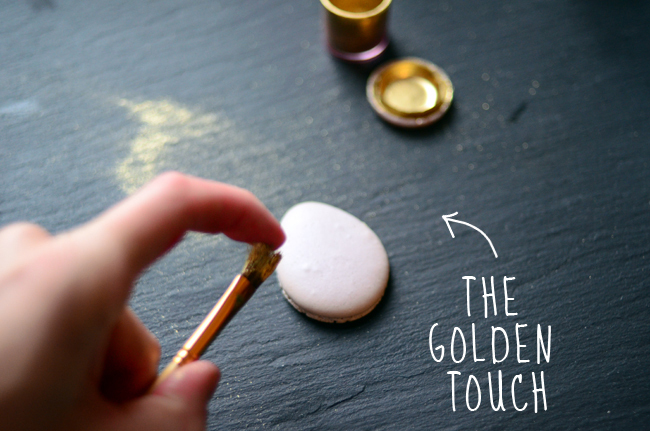 Although, nothing beats that sense of pride when you first bite into a macaron you've created yourself! 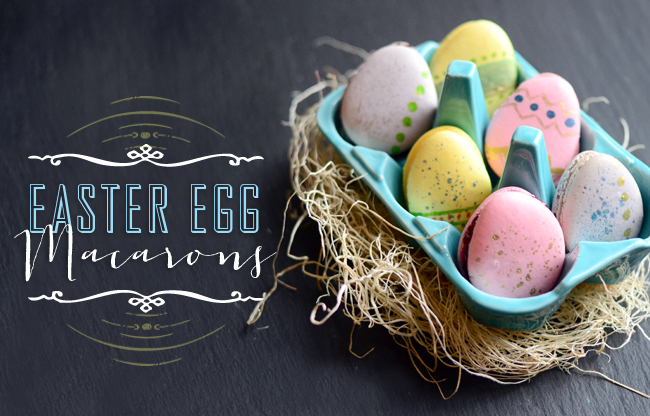 Piping the meringue into egg shapes and decorating the macarons give the perfect Easter Egg effect without the stink. These macarons are perfectly crunchy on the outside, while chewy and tart on the inside. 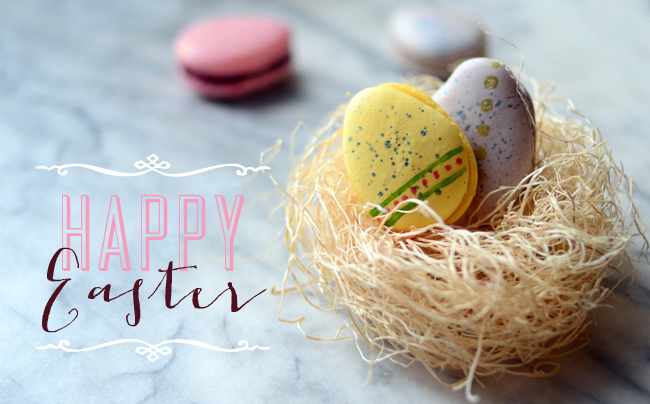 Whether you make these macarons or opt for the family sized bag of jelly beans, have a very Happy Easter! 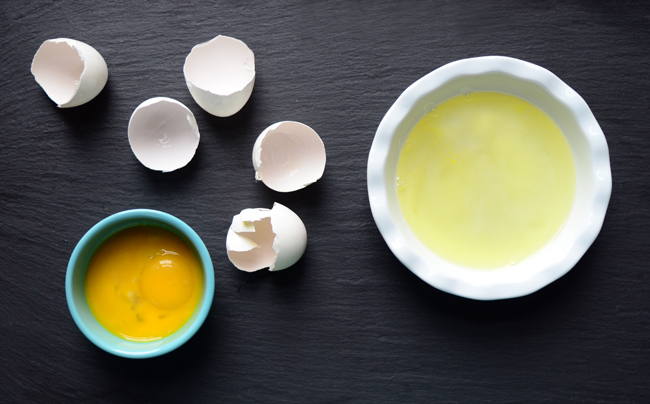 When making the meringue for the macarons, don’t toss the yolks! 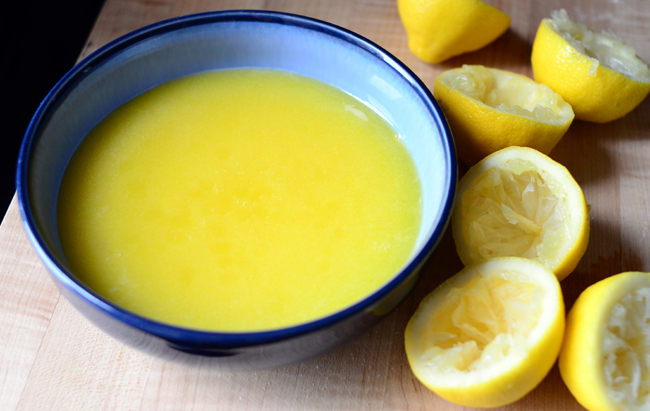 Save them to make a lemon curd filling (recipe follows). 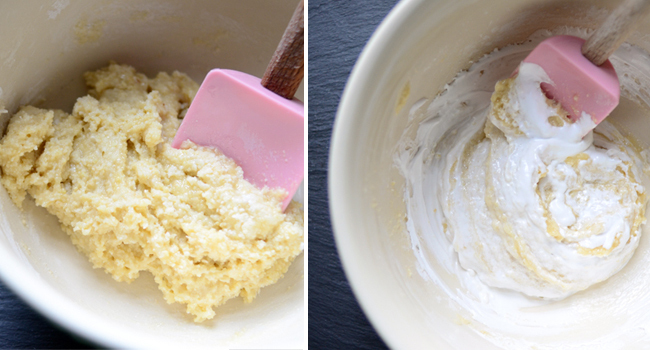 Fold in the meringue to the almond flour mixture carefully. If you overmix, the macarons will deflate. Letting the meringues dry before baking is a crucial step! You’ll know they are ready to bake when they lose their sheen. 1. Preheat the oven to 400° and position racks in the upper and lower thirds. Line 2 baking sheets with parchment paper. 3. 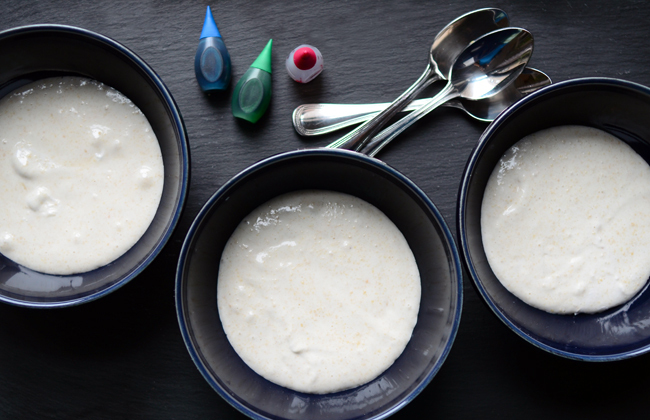 In a small saucepan, combine the granulated sugar with the water and bring to a boil; using a moistened pastry brush, wash down any crystals on the side of the pan. 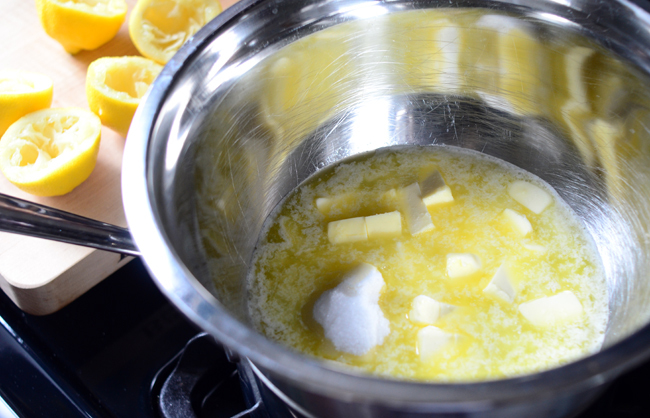 Cook over high heat until the syrup reaches 240° on a candy thermometer. 5. Stir one-fourth of the meringue into the almond mixture. Using a rubber spatula, fold in the remaining meringue. 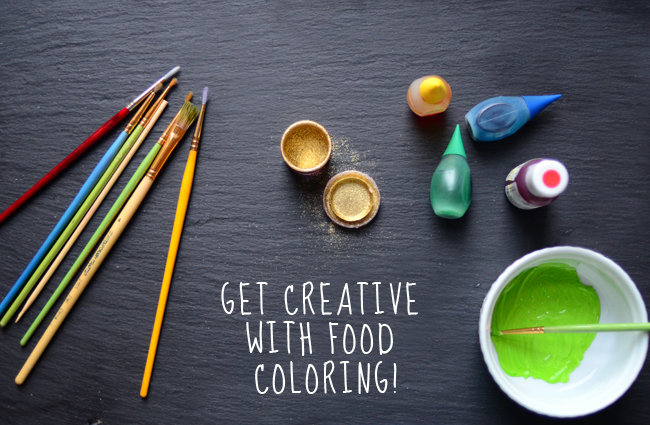 Separate the mix equally into three small bowls and tint with food coloring. 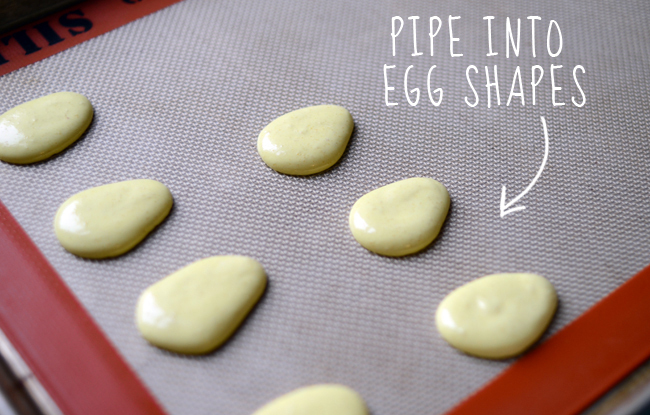 Transfer the meringue to pastry bags fitted with a plain 1/2-inch tip; pipe onto the prepared baking sheets in 1 1/2-inch egg shaped mounds, 1 inch apart. Tap the sheets and let dry for 15 minutes. 6. 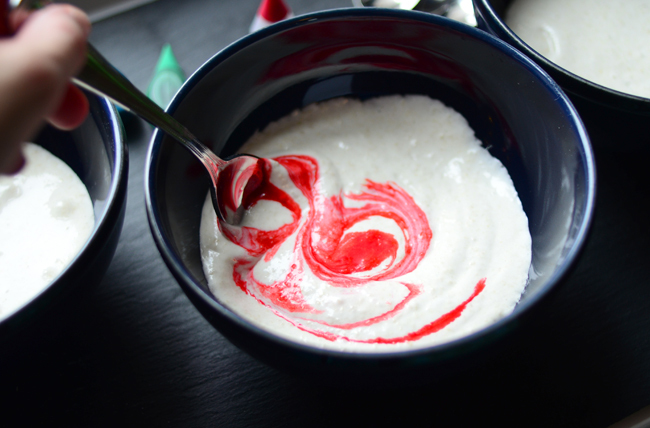 Transfer the meringues to the oven and immediately turn off the heat. Bake the meringues for 5 minutes. Turn the oven on to 400° again and bake the meringues for 8 minutes, until they are puffed and the tops are firm and glossy. Transfer the baking sheets to racks and let cool completely. 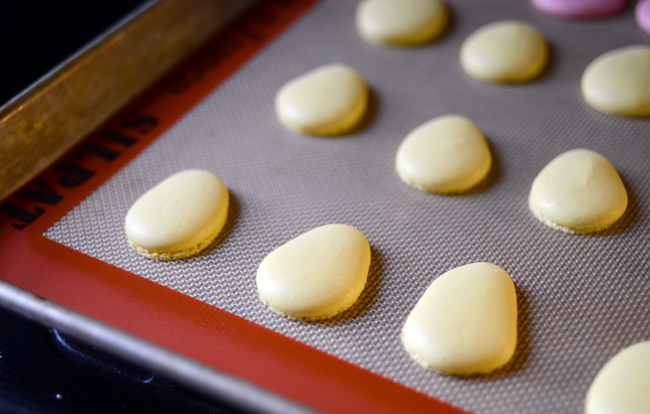 Peel the meringues off of the parchment paper. 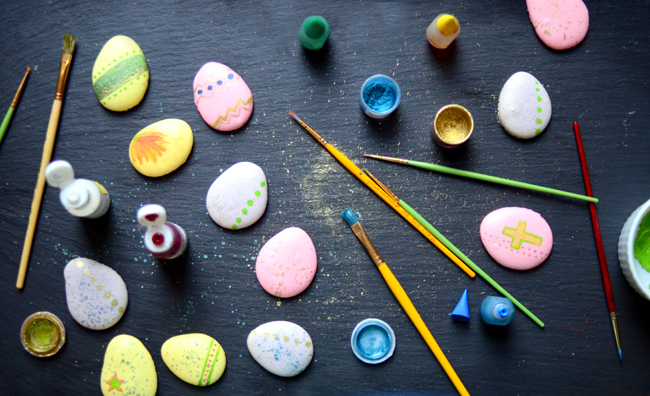 Decorate the meringue shells with food coloring and small tipped paint brushes. 7. 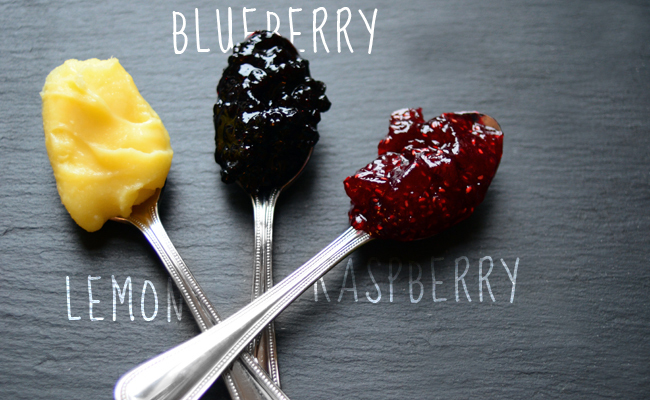 Spoon the jams and curd into separate small pastry bags fitted with 1/4-inch tips. Alternatively, use resealable sturdy plastic bags and snip off the corners. Pipe the filling onto the flat sides of half of the meringues. Top with the remaining meringues and serve. 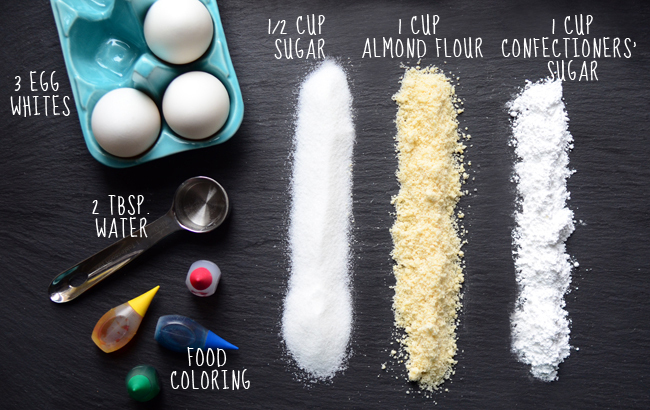 NOTE: Almond flour (finely ground blanched almonds) is available at supermarkets. I jump at any chance to use edible gold dust in decorating. A touch of vodka will help liquefy it, then the vodka evaporates leaving only your gilded design. Use a clean paintbrush or toothbrush to get a splatter effect. 1. 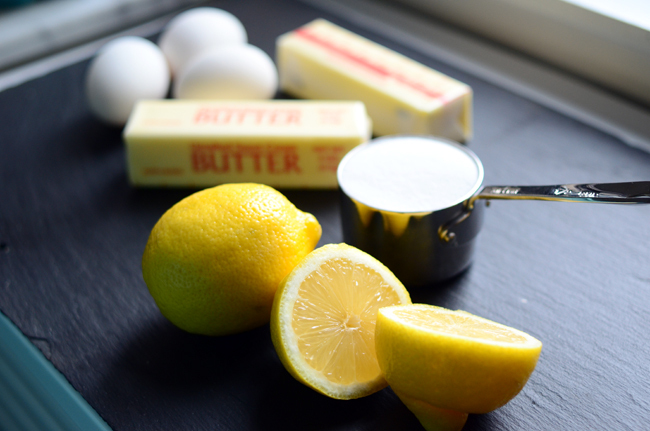 In a medium bowl set over a saucepan of simmering water, melt the butter with the lemon juice and sugar, stirring occasionally, until the sugar is dissolved. 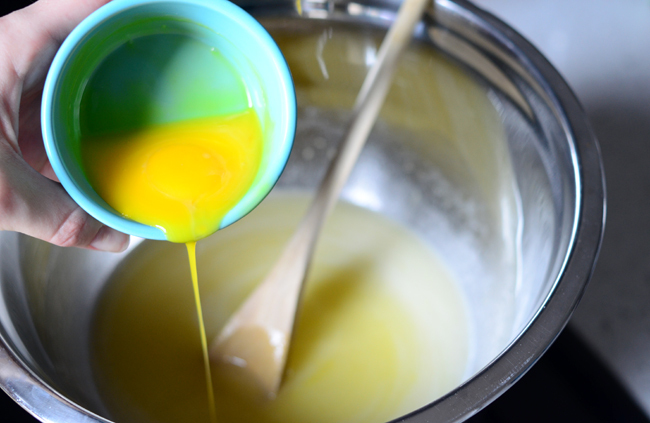 Whisk in the egg yolks, 1 at a time, and cook over moderately high heat, whisking constantly, until the curd is very hot to the touch and the consistency of loose sour cream, about 15 minutes. Strain the curd into a bowl and press a piece of plastic wrap directly onto the surface to prevent a skin from forming. Refrigerate before serving. beautiful pictures and i like the idea of egg shaped macs.